There are no physical remains of this building above ground today. Although the approximate site is known, its exact location is uncertain, and it is known from documentary evidence only. 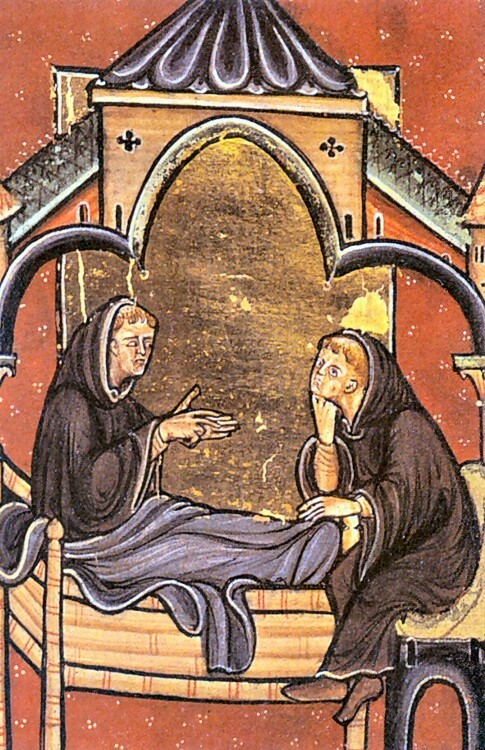 No picture of this medieval hospital is known. 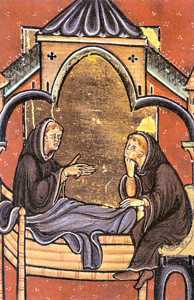 The image on this page is a manuscript representation of work in a medieval monastic hospital. Particular thanks to Dr Christopher Brooke for research in this entry.